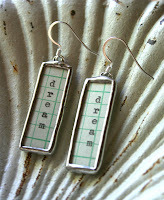 Objects Of Affection: Graph Paper Jewelry! very creative! I love them!